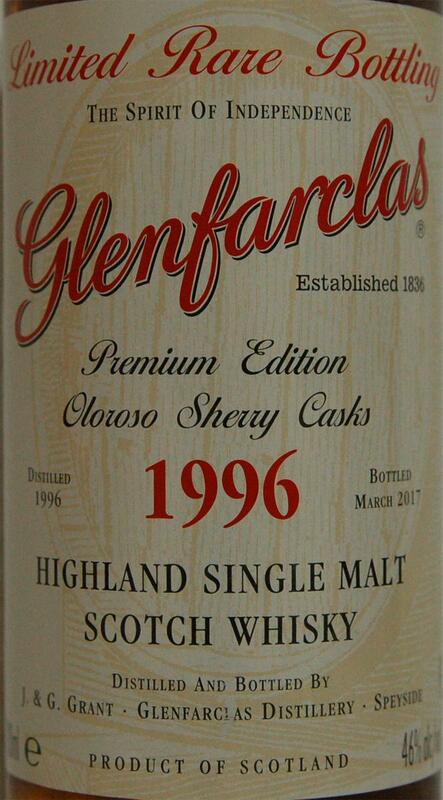 A Glenfarclas who likes it quite a bit. Like the last 1996er. 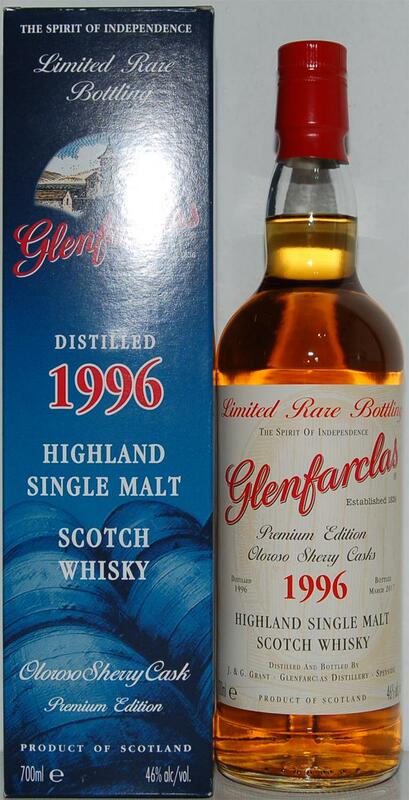 Starts wonderfully dense, colplex and ripe. Creamy maltiness, almost trifle-like and orange cream. Later also dried figs, raisins, almonds, cocoa dust and the typical for Glenfaclas seasoning. After some time Muscobadozucker follow, over ripe plums, raspberries, Hutzelbirnen, oak and forest honey. Insegsamt very nicely put together! Spicy start with oak, dry sherry, some pepper, allspice, dried fruit and ginger cake. Later also grassy notes, ground walnuts, dark chocolate and leather. Long and wonderfully full. Sherrytönig, trail mix, hazelnut and almond. 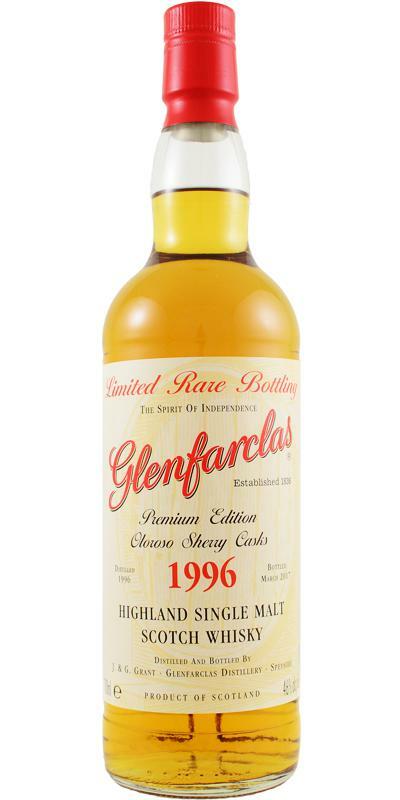 for> = 20 years bright, probably Re Refill Casks; good, but not outstanding! Price performance ok! 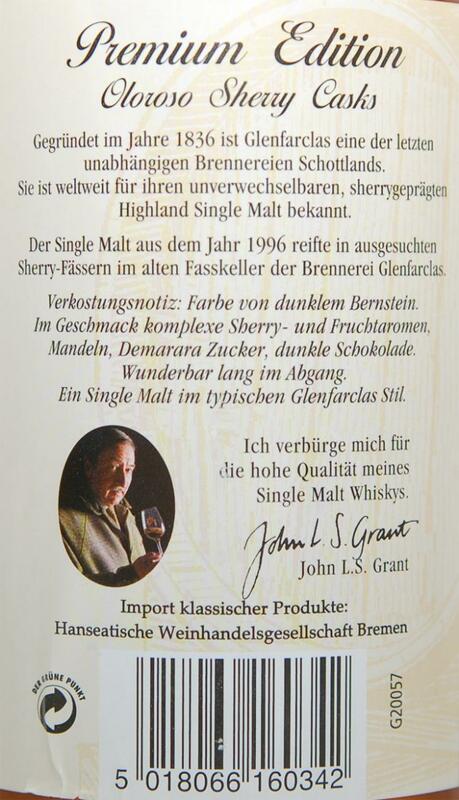 This whisky does not have to hide. Seen from the PLV nothing goes wrong here. And he gets even better when he gets some time to breathe in the glass. The nose is not that overwhelming now. Since I had better in the glass. But very solid without corners and edges. Delicate spices with refreshing fruits. Very full-bodied with creamy jam. Well coordinated, red and bright fruits come together with sherry and fill the oral cavity very pleasantly. Subtle smoke. Medium. Typical ending with buttery dark chocolate. But not bitter. Spicy oak and light wood.